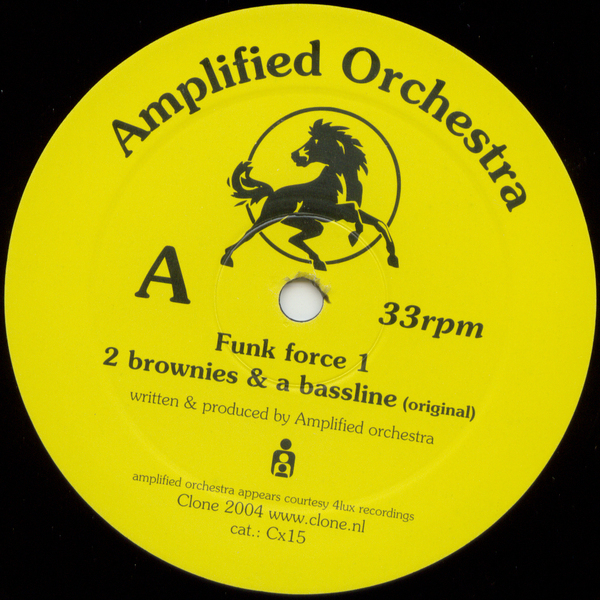 Dexter makes a welcome return with jazz funksters Amplified Orchestra, the pairing delivers some interesting electronic goodness, and some fat electroid beats too. The Amplified Orchestra deliver the a-side, with ‘Funk Force 1’ a pure disco led bumper with classic synths and strings that’ll excite the ladies, and also the original version of ‘2 Brownies and a Bassline’ which is much more authentic funk than the others, hip hop speed, jazz funk Herbie Hancock bassline, and a loose feel all contribute to a vintage jam. On to the b-side for the Amp Orch vs Dexter cut ‘Getting It’, a vocal and instrumental are available of this analogue electro monster that sounds like it came straight from the 70’s, wah wah guitar, jazz funk bassline and a proper 80’s male vocal that could have come straight from Cameo or Colonel Abrahams, plus the edited synths, crazy funk drops and disco vibe that permeates the track make it a winner, ace.